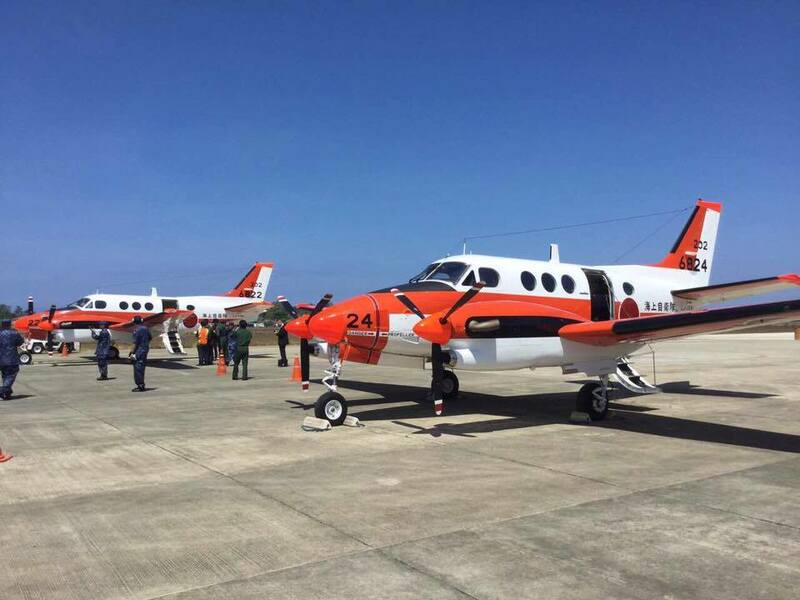 MANILA, -- Two Japan Maritime Self Defense Force (JMSDF) TC-90 turboprop maritime training aircraft who left Tokushima Air Base on 23 March 2017 landed a few hours ago at Laoag International Airport (RPLI) in Laoag City, Ilocos Norte Province, Philippines. 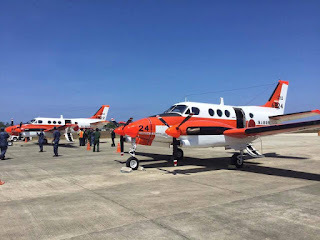 The Japan Maritime Self Defense Force (JMSDF) pilots flew the first batch of two of the five leased turboprop TC-90 maritime aircraft to the Philippines. The leasing of the TC-90 planes is based on the “three principles on the transfer of defense equipment,” which was adopted by the Abe administration in 2014 to allow Japan to export arms under certain conditions. These five leased turboprop TC-90 aircraft will be used to augment the existing squadron of Norman-Britten BN-2 Islander STOL aircraft, which the Naval Air Group uses in patrol, surveillance and humanitarian assistance and disaster relief (HADR) and rapid assessment missions. The Department of National Defense (DND) also announced that the Philippines will re-equip the TC-90s as Japan has stripped them of some equipment, including their surveillance systems. The country will pay Japan USD7, 000 each for the first four aircraft yearly and only USD200 for the fifth, for a total of USD28, 200 (Php 1,453.358) for five aircraft as stipulated in its lease agreement. The first batch of Philippine Navy pilots to train for the TC-90 aircraft started on 28 November 2016 at the Japan Maritime Self-Defense Force (JMSDF) 202nd Naval Air Training Squadron at Tokushima Air Base in Tokushima Prefecture. The two naval pilots are Navy Lieutenant Commanders, LCDR RYAN TUMANDA and LCDR ZYRIL VILLACORTA. These Pinoy Naval Aviators completed 93 hours of ground school prior to 168 hours of flight training that was conducted by five JMSDF instructor pilots, the first course ended on March and the last will be on November 2017 for the last batch of Pinoy Naval Aviators. JMSDF will provide the same training in three different periods, including this batch. The Japan Maritime Self-Defense Force (JMSDF) 202nd Naval Air Training Squadron also provided training for Philippine Navy Naval Air Group maintenance personnel. These two TC-90 maritime aircraft will be formally transferred to the Philippine Navy on the day of the delivery at the Naval Base Heracleo Alano in Sangley Point, Cavite City. The Japan Maritime Self Defense Force (JMSDF) TC-90s turboprop maritime training aircraft arrived at Laoag International Airport.